Fresh bread made in your new bread maker…? 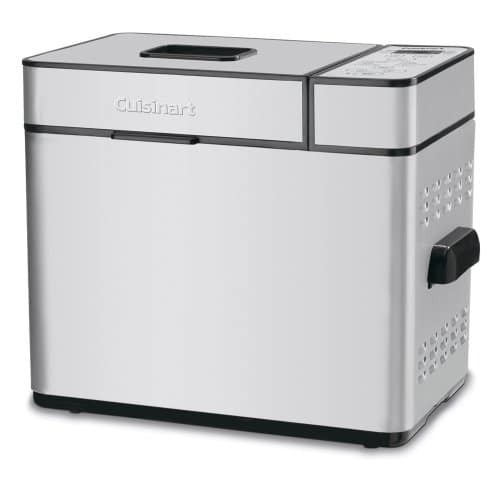 So you’ve narrowed your bread machine search down to Cuisinart cbk-200 vs cbk-100. The good news is that you cannot go wrong with either choice. Both of these machines are made by Cuisinart, a trusted brand and household name. Update: We wanted a bread machine and we ended up going with the moderately priced (for a bread machine) Cuisinart cbk-100. We are very happy with our decision. Scroll down towards the bottom of the page for more details. Below, you will find the key differences that separate these two machines. After you read this page, you will have a better understanding of which bread maker is best for you and your household. These machines are very similar, but there are a couple “potential deal breakers”. If you’re in a hurry, you can skip to the end and jump right into the summary and recommendation. 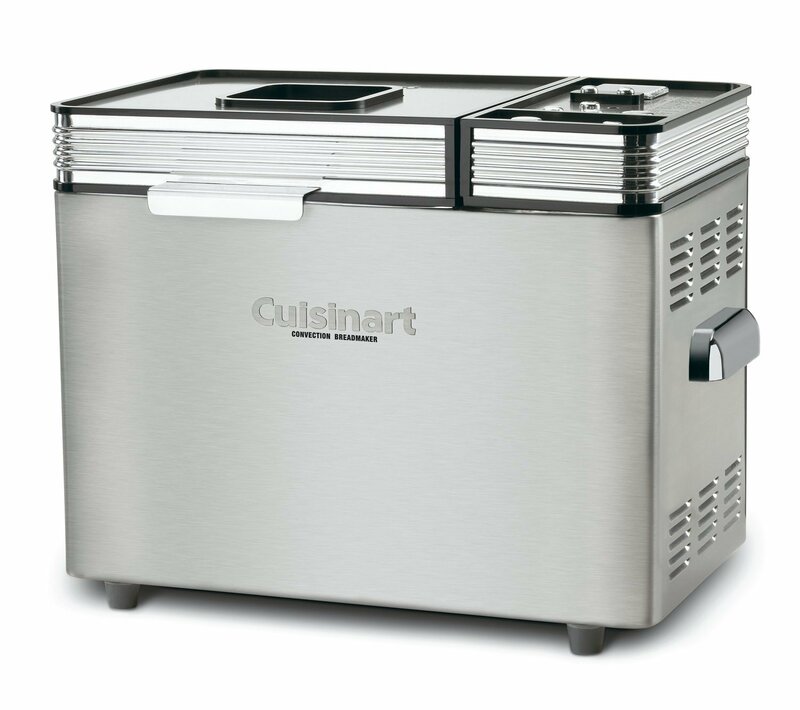 Cuisinart.com list the dimensions for the cbk-100 as 14.50″ x 7.50″ x 12.50″, while the cbk-200 measures, 16.50″ x 10.25″ x 12.00″. They are virtually the same size. The older cbk-100 is 8 pounds heavier however. Both bread makers are stainless steel, modern and good looking. Personally though, I’d take the toned down brushed stainless steel look of the newer Cuisinart cbk-200. The size and style are so similar that this area alone shouldn’t sway you in either direction. Regardless of your choice, you will enjoy a gluten-free setting. This is a major deal breaker for a lot of bread machine shoppers. With its 16 presets, the Cuisinart cbk-200 wins hands down in this department. The additional presets: low-carb, and artisan are certainly the most obvious differences between these machines. The cbk-100 has just 12 different programs to choose from. There is a difference in the way these machines bake bread. The cbk-200 uses convection heating. This process simply uses a fan to circulate hot air around the machine to more evenly distribute the heat. This means that you should get consistent results every time. This is definitely a win for the cbk-200. The Cuisinart cbk-100 has convenient “stay cool” handles, meaning you can safely touch this bread machine without grabbing an oven glove first. However, the cbk-200 has stylish chrome handles. At least a few customers complained about the cbk-200 handle being too hot to handle without a heat resistant accessory. This boils down to usability, practicality, and even safety versus design. I choose the former. The Cuisinart cbk-200 vs cbk-100 debate continues, and the reviews is one of the areas that would be a deal breaker for me. After reading through many reviews, I came across some customer experiences for the cbk-200 that scared me off a little bit. There are quite a few complaints that pop up over and over again, for example: burnt bread, poor construction, and noise. On the other hand, the cbk-200 does have positive feedback as well. There are a lot of reports of customers having good and consistent results every time they use it. And that’s not to say that the cbk-100 is perfect and without flaws. That’s certainly not the case, it’s just that the more serious complaints were for the cbk-200. Remember, your tolerance may differ from mine. You may have come away with a different perspective when/if you read through the reviews. Perhaps, you will want to read some of these reviews for yourself to make your own call. The bread makers in this comparison are good options but you might come across a bread machine listed below that is more suitable to your needs. I listed some other high-quality options below. The Cuisinart bmkr-200pc is a great option, but it is the predecessor to the cbk-200. So, this begs the question: why go with an older model? Well, sometimes there is a huge price break when you choose the older model. Other times, there isn’t. Sometimes the newer model doesn’t offer many more features than the older one. Sometimes the quality is better or worse with the newer model. The biggest difference between this model and the cbk-200 is the bread presets. In this case, the Cuisinart cbk-200 offers several more settings than the bmkr-200pc. Those additional presets include: artisan, low-carb, and gluten-free. The Panasonic sd-yd250 is another great option for bread lovers. It shares many of the same features as the other machines on this page. You get 3 loaf size options up to 2.5 pounds. There are many presets including settings for white, multigrain, french bread and cake. It has a 13 hour delay timer and it automatically adds yeast at the optimum time. Overall this is a great option with many convenient and thoughtful features. Although, it does not have a gluten-free bread feature. 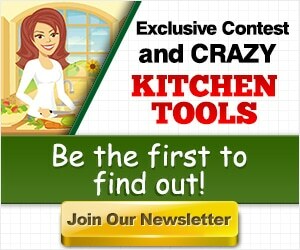 After buying the Cuisinart cbk-100, overall, we were pleased with our experience. It bakes bread very well. So far we’ve tried a handful of recipes. Our favorite recipe is the Cinnamon Swirl bread that is listed in the Instruction/Recipe booklet. We love that the bread comes right out of the nonstick bread pan with no issues. There are a few things that I think could be improved however. Not with the machine itself, but rather with the instructions. For example, when making the cinnamon swirl bread, the directions tell you to remove the bread when you hear the “paddle signal”, which is a series of beeps. This allows you the time to add cinnamon and sugar. However, when you haven’t used this machine before, you are kind of stuck waiting for that signal, and it doesn’t occur until hours later. It would be nice if the instructions were a little more clear. You might also consider that these machines (both bread makers featured on this page) are a bit on the large side. The Cuisinart cbk-100 or 200 will take up a nice amount of space on your counter top. 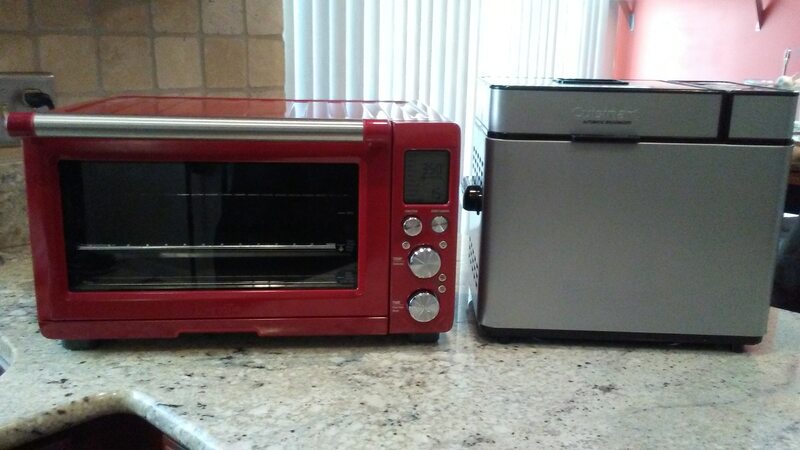 Pictured below is our cbk-100 next to our Breville bov845bss. Our kitchen is on the smaller side so we definitely won’t be leaving it on the counter when not in use. Other than that I don’t have any complaints (not yet at least). We’ve made several loaves of fresh, delicious bread. And, we probably won’t be buying store bought bread again. Oh, and another tip: You can certainly let the bread rest in the bread pan if you forget about it or are out of the house running errands. But, we found that a little condensation builds up in the pan. Water plus bread is no good. For best results, remove the bread from the pan and let it cool on a rack for at least 30 minutes. For me, the Cuisinart cbk-200 vs cbk-100 is an easy choice. On the one hand you have a machine (cbk-100) that appears to be pretty durable and provides consistent results. On the other, you have a product (Cuisinart cbk-200) that has more options but also has quite a few issues that are worrisome. Sure, more options is good, but in this case the benefit is marginalized given the durability problems. 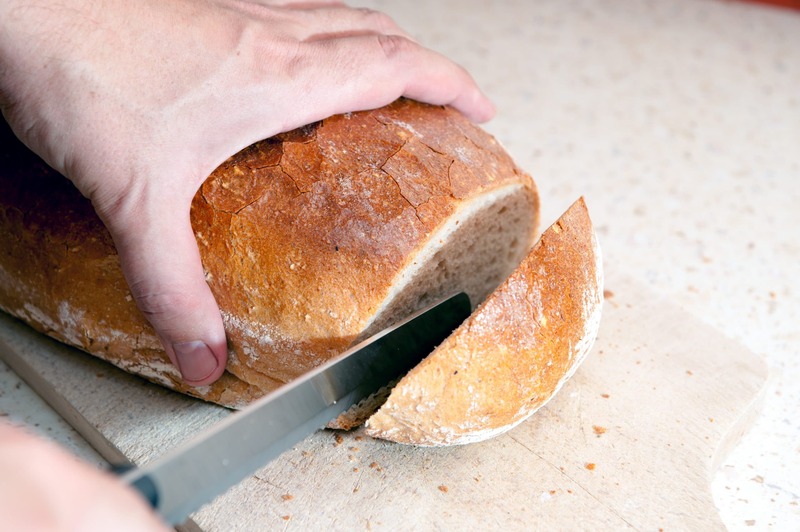 You probably don’t need an artisan or low-carb bread setting; at least, you probably wouldn’t choose those features over long-term durability. 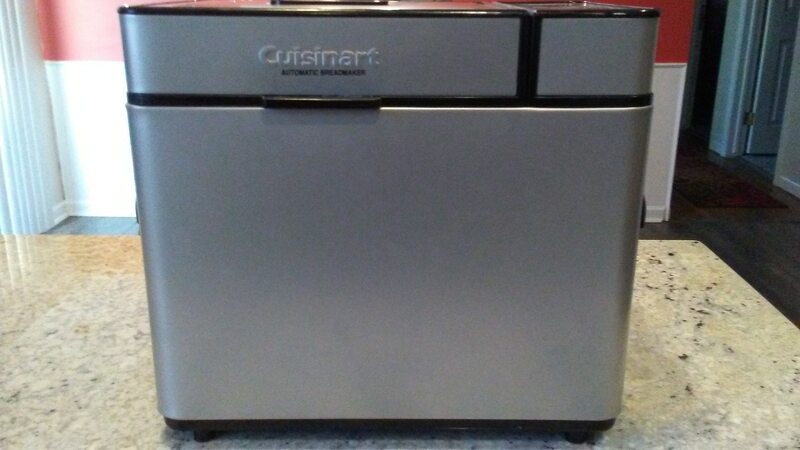 In my opinion, the smart choice is the Cuisinart cbk-100. If you’re still not sure, you might want to check out some of the other options above. Update: We went with the Cuisinart cbk-100 and we love it. It consistently makes great tasting bread. We don’t regret our purchase decision.